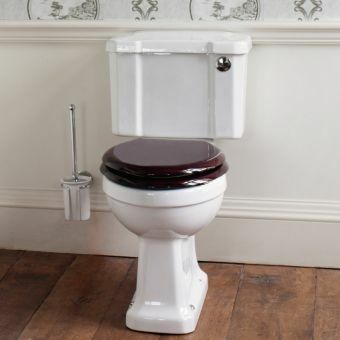 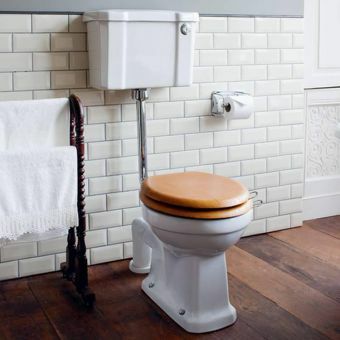 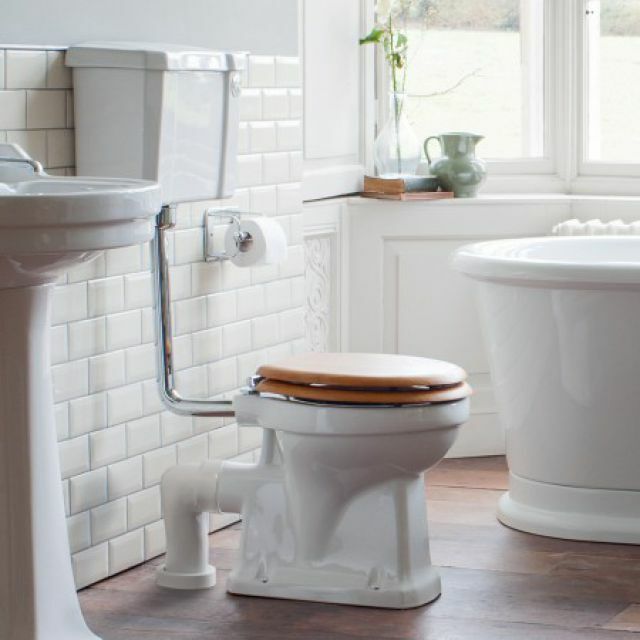 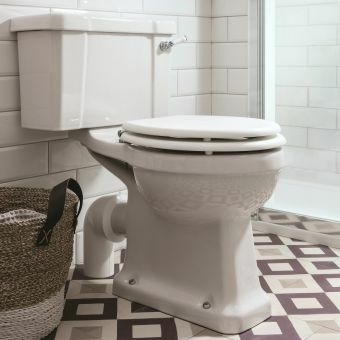 Bring Old World elegance into you home with the Burlington Slimline low level WC, 440mm size. 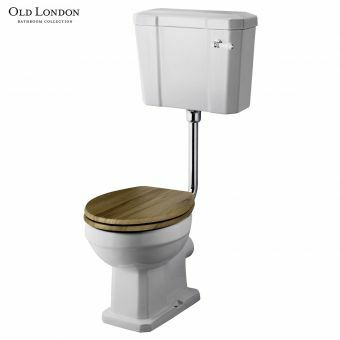 It measures 1100 x 440 x 740 mm (H x W x D). 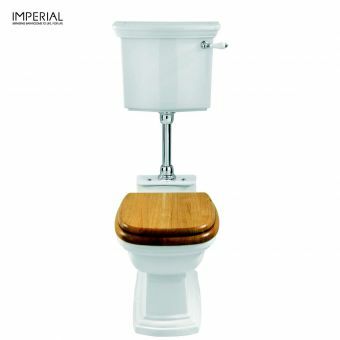 Choose the dual flush ceramic level or the push button lever to get a custom look. 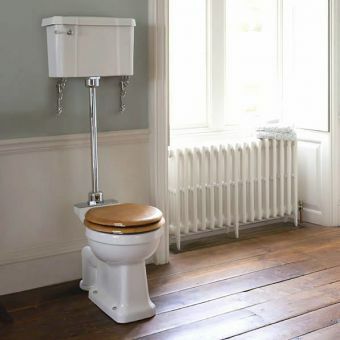 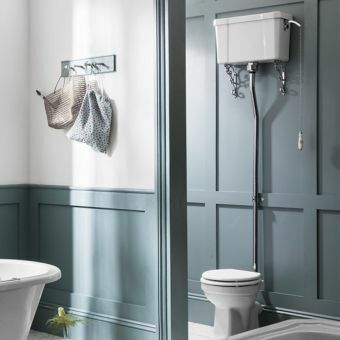 The Burlington Slimline low level WC is made to look like a period piece, but the function is all modern. 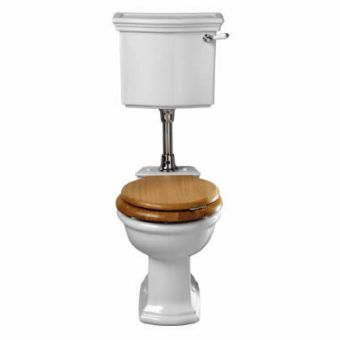 Nickel chrome plating makes the downpipe both attractive and functional. 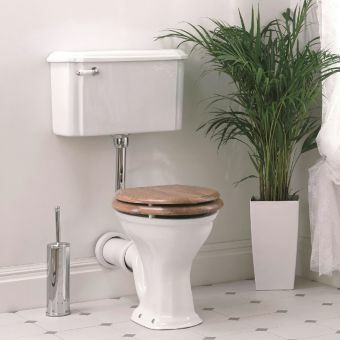 The brass flush pipe nut is also covered with chrome, so you can't see the non-slip reverse internal threading. 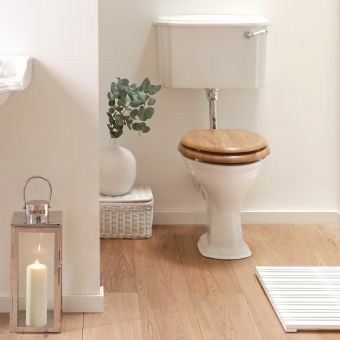 Pick the solid wood oak, mahogany or glossy white seat. 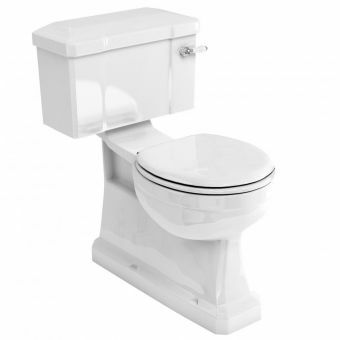 Each option comes with gleaming chrome bar hinges. 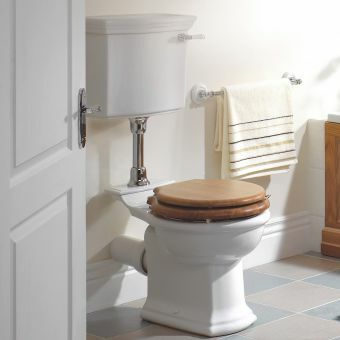 All the mounting hardware, including the hinges, is included. 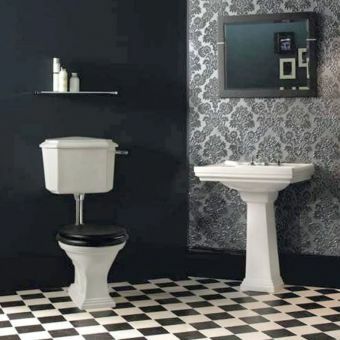 Celebrate the beautiful design of the past and the solid engineering of the modern world with this stylish WC.